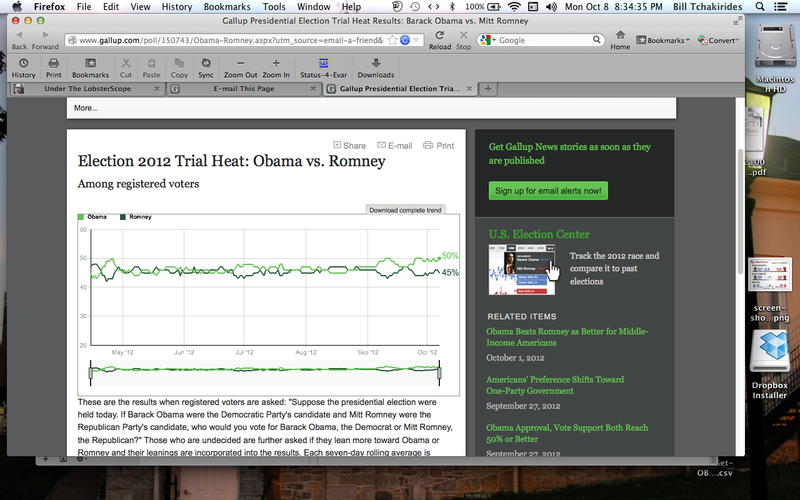 Looks like Obama is retaking the lead he had yesterday. 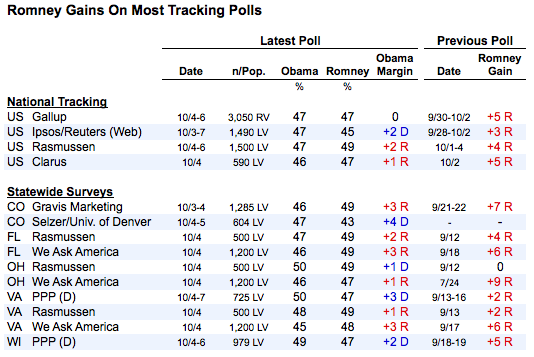 Even two of the Rasmussen polls, which are the most conservative of all the polling organizations, are putting Obama back into the lead. …but Obama still leads on many of the surveys. 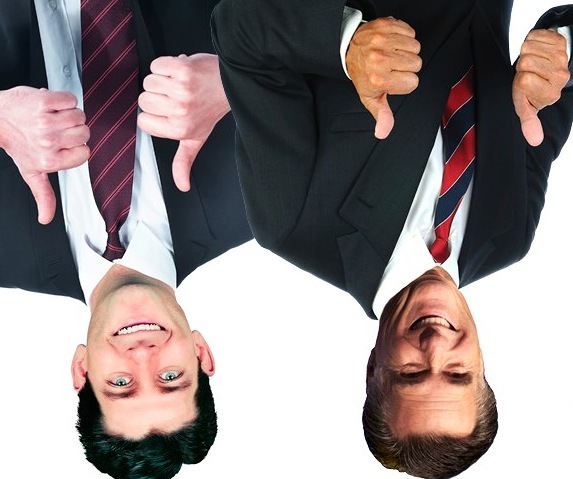 A lot of pundits think the VP debate will have an effect on the Romney / Obama ratings. I agree.